Wax paper gives it a sweet effect as a background! 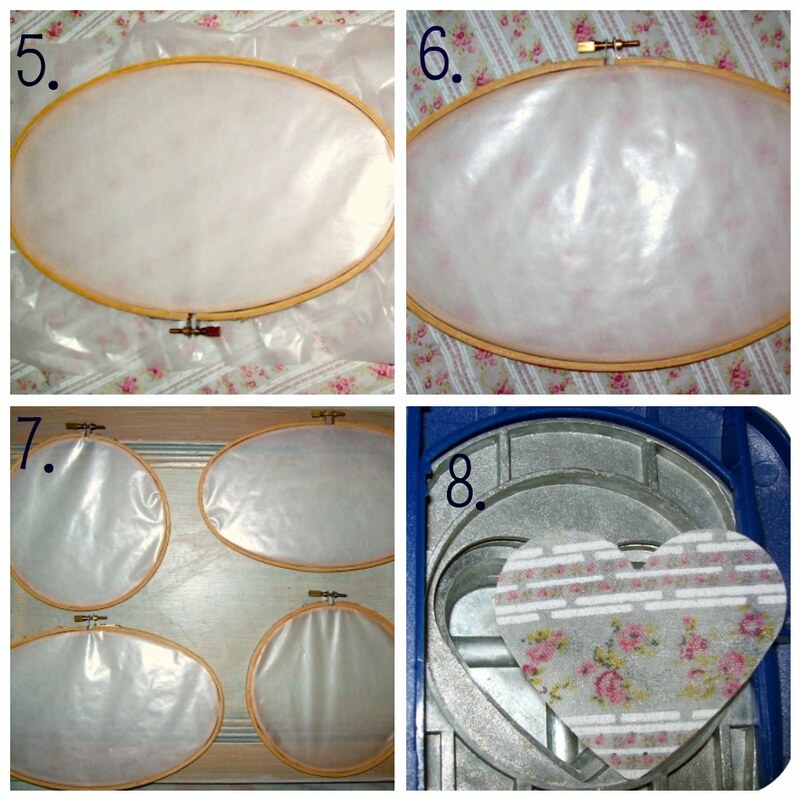 2.Get some fabric stiffener.. i made my own.. To make your own click here! 8. 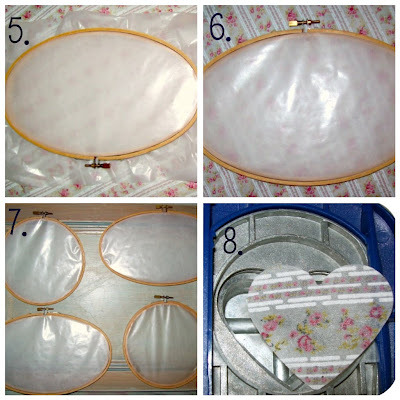 Strat now with Sharp paper punch , Punch out desired shape using your stiffen fabric! How clever! It gives it a vintage feel! 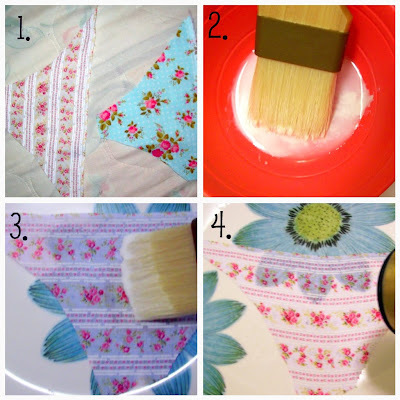 Thanks for the fabric stiffener recipe! Do you by any chance know how to sharpen a paper puncher? I wondered if punching through tin foil would work but I'm afraid to try it. Oh my stars… I am in LOVE… Thanks for sharing! Oh, I've been admiring bunting lately! These are cute!